A few years ago I posted a fantastic recipe for making apple pie that was extremely well received. Making apple desserts during the fall is one of my favorite things to do because not only are they delicious, but they also leave my house smelling amazing. 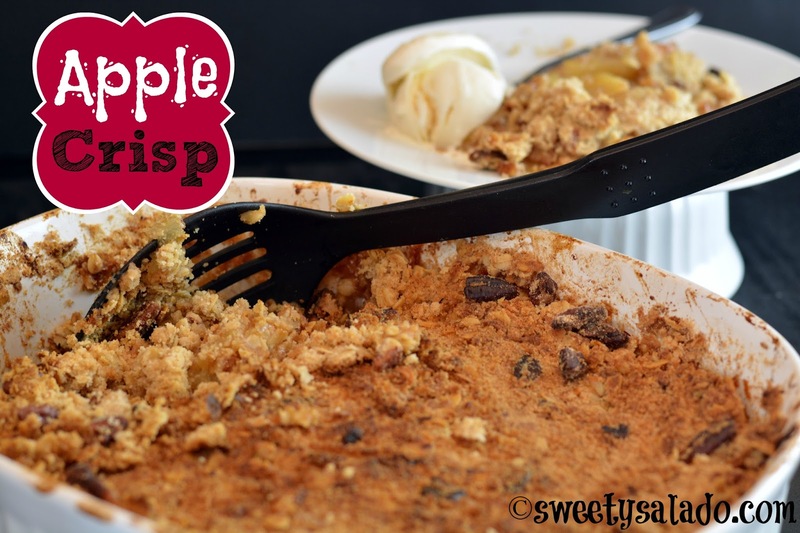 This apple crisp, or apple crumble as some people like to call it, is exactly one of those desserts that remind you of fall as soon as you pop it in the oven. I personally like it more than apple pie because of the crumbly, buttery dough that it has on top. Plus, it also has oatmeal (which I love) and nuts (which I love even more). And just like when making apple pie, make sure you pick the best apples for baking you can get your hands on. Like I said in my apple pie post, I love using Gala apples because of the sweetness and texture. I also love using Golden Delicious apples because they’re also very sweet but slightly tart, so that’s why you’ll see me using both in the video. The result? 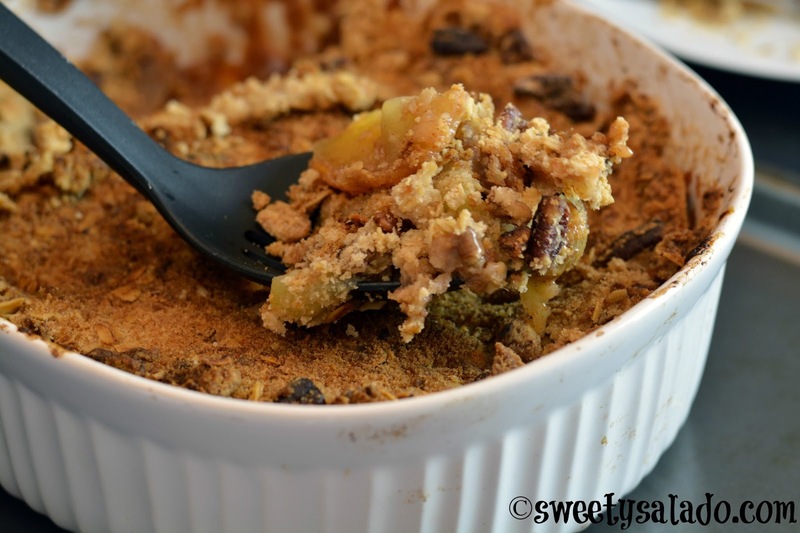 A fantastic apple crisp to enjoy during a cool autumn day. Grease a 2-2½ quart baking dish. Peel, core and slice the apples and place them in the baking dish. Add the lemon juice and mix well. Mix the rest of the ingredients for the filling in a medium bowl and pour them over the apples. Toss the apples to make sure they're well coated. In a separate medium bowl mix the flour, oats, brown sugar, white sugar, cinnamon and salt. Add the cold butter and mix with a pastry blender, fork or even your hands until it resembles a sandy, crumbly texture. Fold in the walnuts and sprinkle the topping all over the apples. Bake for 45 minutes to 1 hour or until it's golden brown on top. Serve warm, either alone or with a side of ice cream.